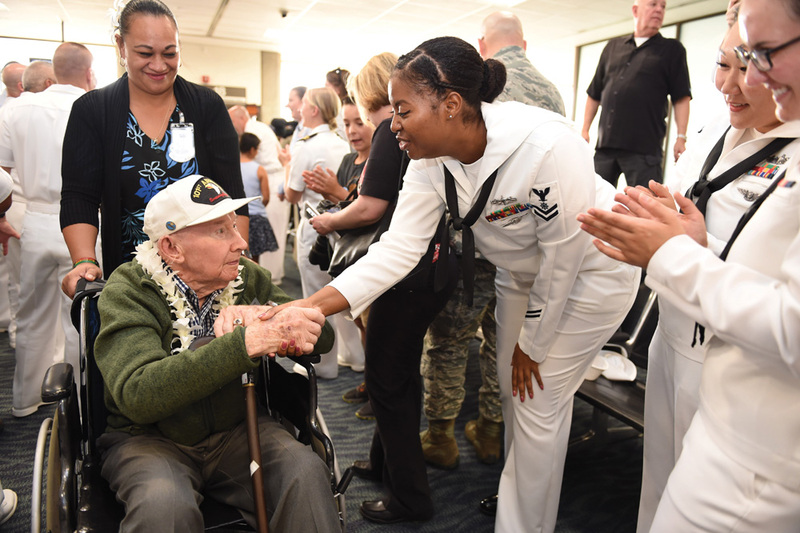 Pearl Harbor Survivors, World War II veterans, their families and visitors from all over the United States and from around the world gathered to commemorate the 75th anniversary of the attack on Pearl Harbor from Dec. 1 – 11. 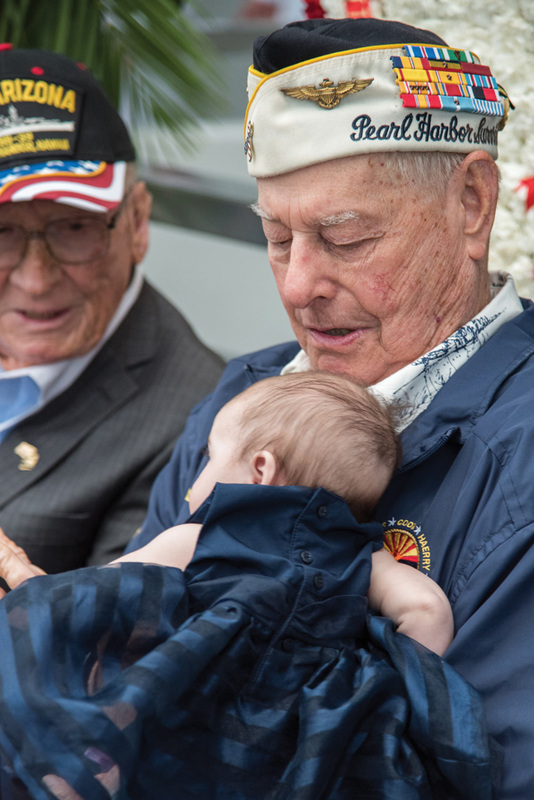 It was a time of reflection, remembrance and commitment — a time to honor the sacrifices, courage and selflessness of our Greatest Generation, and a time for children and grandchildren, family and friends to dedicate themselves to carrying on the legacy to always remember. 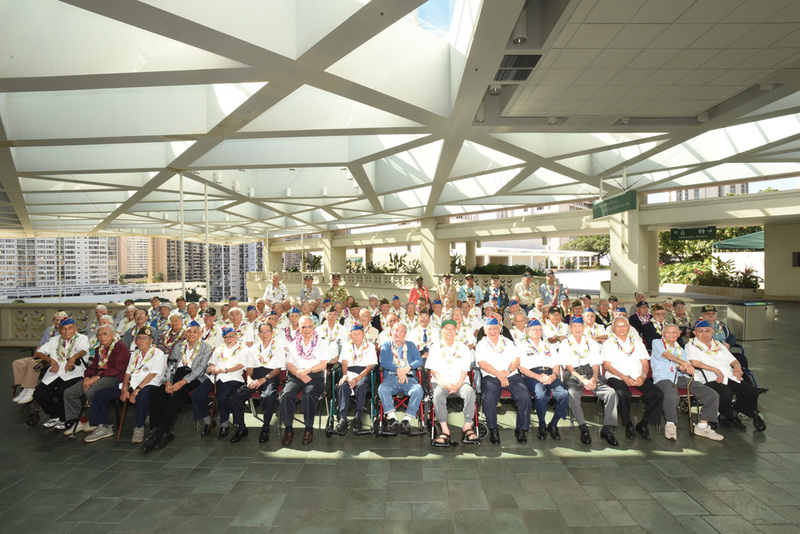 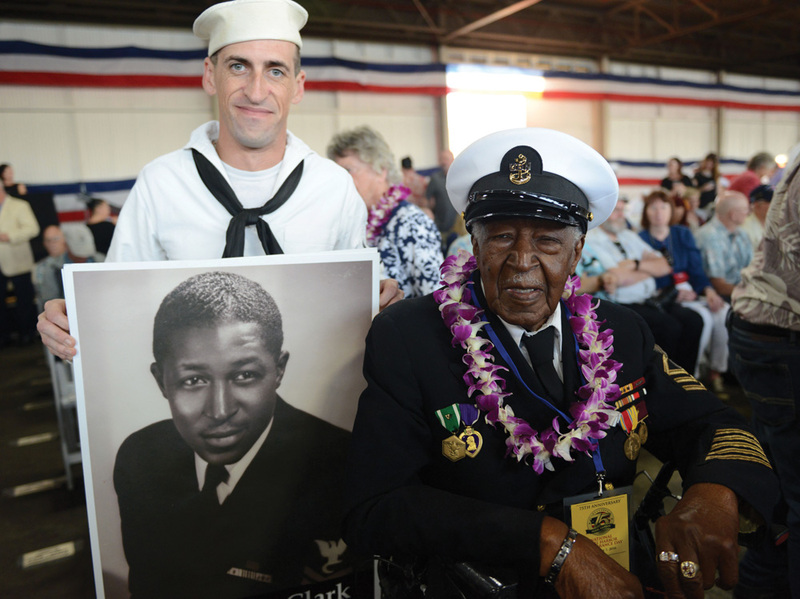 The island of Oahu hosted more than 10,000 people who participated in 50 wide-ranging events, both public and private, including galas, luncheons, movies, concerts, live performances, educational programs and memorial ceremonies. 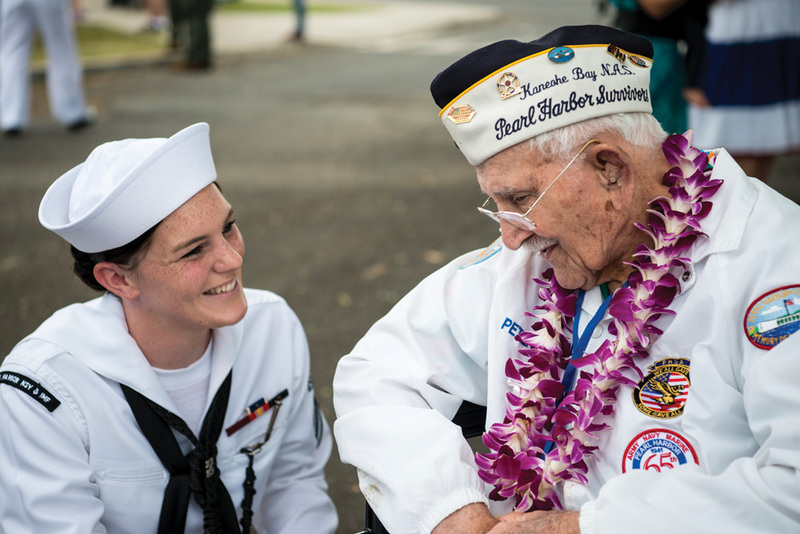 The National Pearl Harbor Remembrance Day Commemoration at Kilo Pier was attended by 5,000 with an additional 3,000 viewing the live stream at the Pearl Harbor Visitor Center. 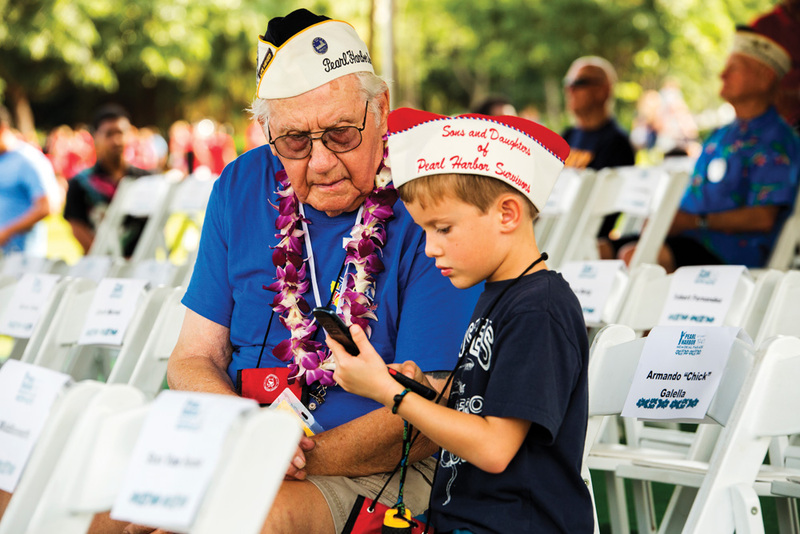 Pacific Historic Parks was honored to participate in the coordination of these events, and throughout this anniversary year and in the years to come, we remain steadfast and invite you to join us in our commitment to Honoring the Past, and Inspiring the Future. 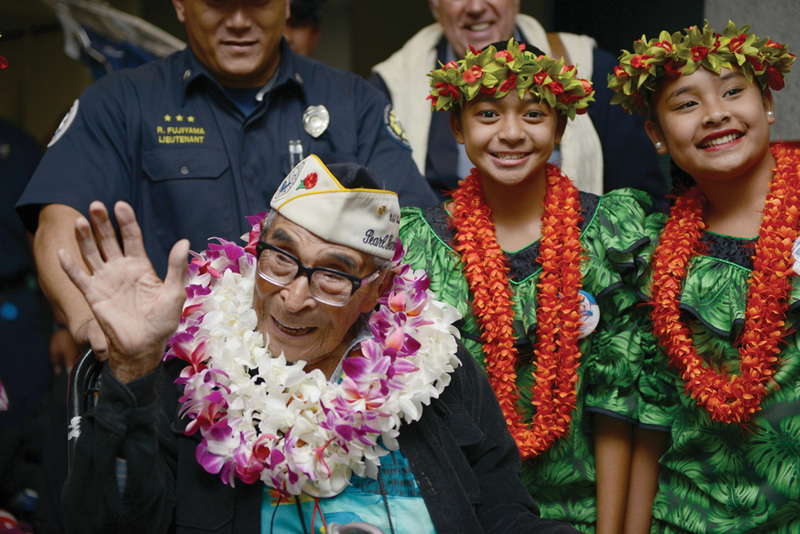 The oldest living Pearl Harbor Survivor at 104 years of age, Ray Chavez, waves after upon his arrival at Honolulu International Airport. 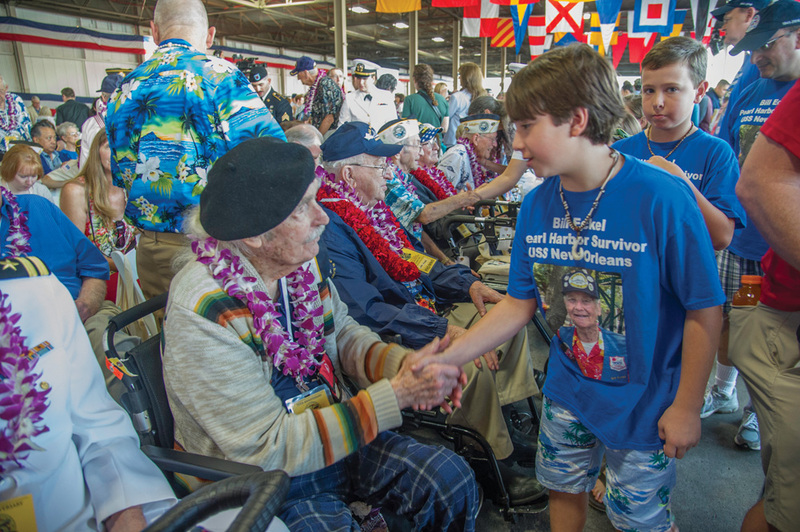 Photo by Tara Molle. 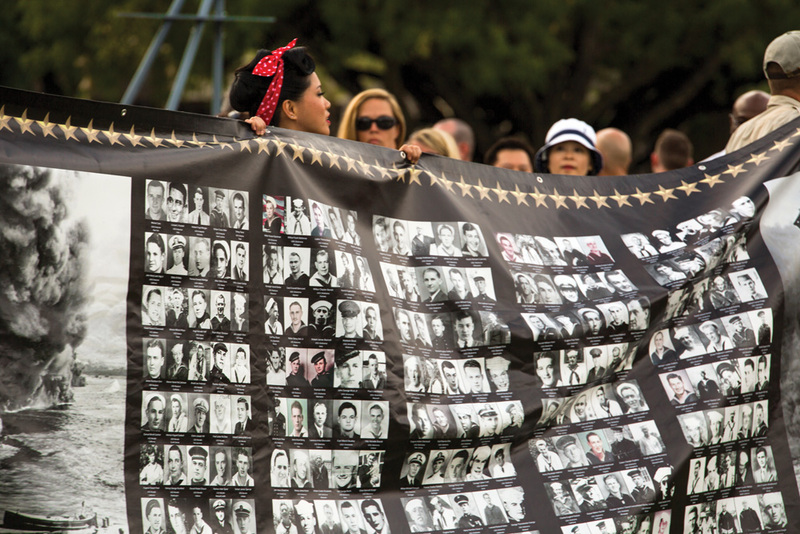 The Wall of Remembrance, containing photos of U.S. service members who lost their lives during the attack on Pearl Harbor, is shown at the Pearl Harbor Memorial Parade. 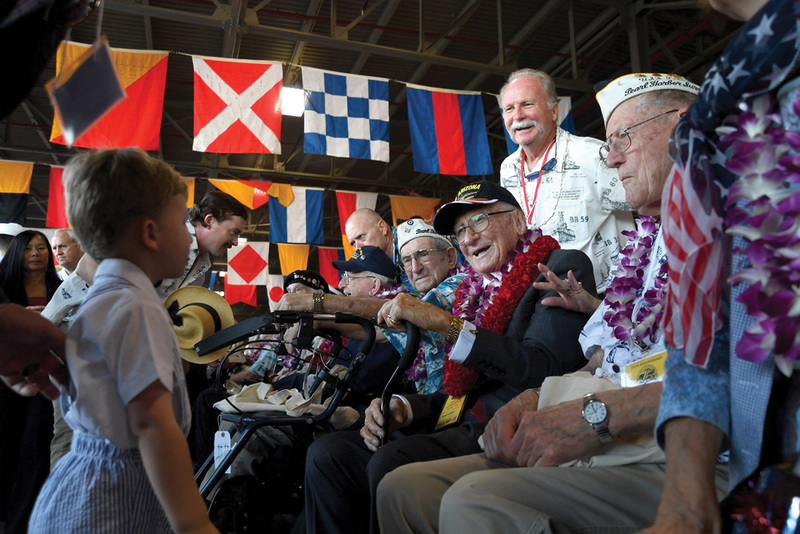 Photo by Robert Sweet.